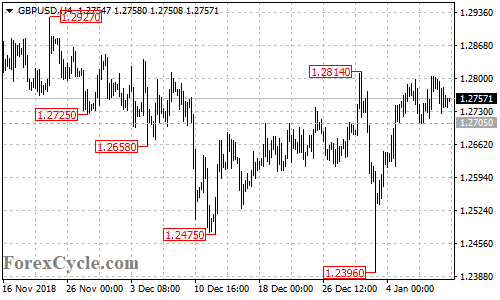 GBPUSD moved sideways below the key resistance at 1.2814. A break of this level could trigger further upside movement towards 1.2900. Near term support is at 1.2705, below this level could bring the price back to 1.2550 area.